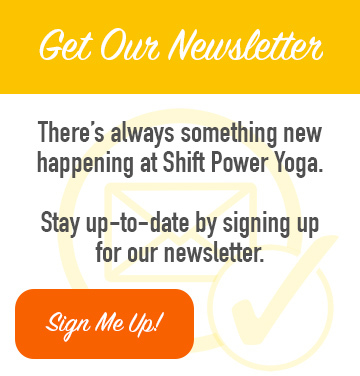 Welcome to Shift Power Yoga, where you are invited to be a part of something a little different. Beyond yoga poses and beyond stretching there is an opportunity to be inspired to live BIG. Our amazing team of passionate and dedicated teachers have created a community of acceptance, belonging, service, inspiration and extraordinary living. No experience necessary. Come as you are, not as you think you should be! 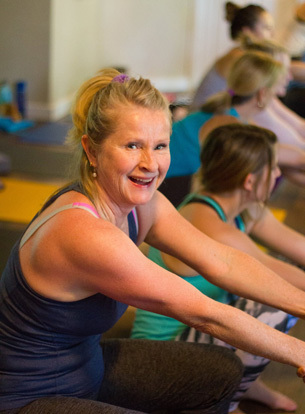 At Shift Power Yoga, it is our mission to give you the tools to live your most fulfilled and extraordinary life. From the time you step into the studio you will be acknowledged, encouraged, assisted and inspired. Our goal is to ignite and empower you beyond your perceived limitations and to leave you in your greatness. We offer everything from slow stretch and yin yoga to challenging vinyasa classes. Classes are based on the transformative Baptiste methodology and are guaranteed to sculpt and tone your body, calm your mind and leave you empowered to live your most connected, creative and meaningful life. Get ready to step out of your comfort zone and into freedom! The Baptiste style of yoga is one of Empowerment. This powerful vinyasa flow class will tone and sculpt your body, restore your natural vitality and give you access to empowerment and possibility in your body and in your life! The practice is adaptable for every level of practitioner from beginner to seasoned yogi, so come as you are and be ready to sweat, smile and shine! A slower paced style of yoga where postures are held for longer periods of time, ranging from 2-10 minutes. Yin postures target the deep connective tissues, fascia, tendons and joints in the body, increasing flexibility and range of motion. Yin yoga is also designed to improve the flow of subtle energy in the meridian pathways in the body in a similar way to acupuncture. Do you want a class that offers a beautiful well-rounded slow stretch that still strengthens, tones and creates whole body flexibility? This class is suitable for everyone from beginner to experienced, even those recovering from injury. Come and get centered, grounded and open up to new ways of being. All things exist in balance and this class is no exception. Just as the tide rises and recedes this class is a beautiful balance of effort and surrender. You will begin with sweet yin postures followed by a steadily-rising vinyasa flow and finishing with deep, slow floor poses and a long savasana. This class will appeal to all lovers of yoga and is suitable for beginners to experienced practitioners. Join us and bring a little ebb and flow into your day! This one hour version of our Baptiste Power class is accompanied by great playlists and fun variations to kick off your weekend with some sweat and smiles! All levels welcome. Indulge in a rejuvenating Yin practice and learn the basics of meditation with a guided meditation at the end of class! We are located at #102 - 2370 Bering Road in West Kelowna. 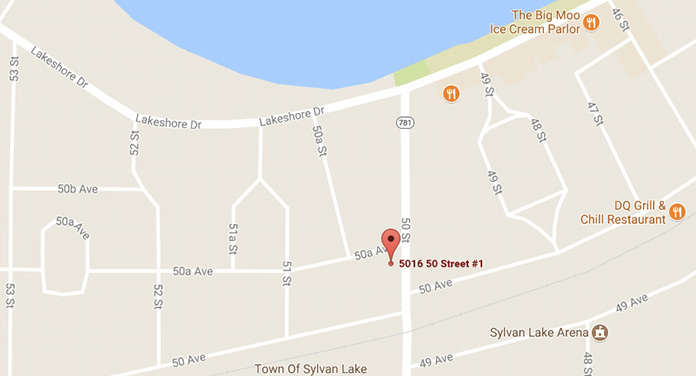 Looking for our Sylvan Lake location? You'll find us at #1 5016 50th Street, right next to Saks Shoes.